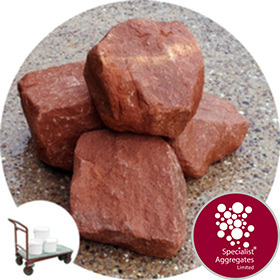 Red sandstone rockery, considered by many as the ideal stone for alpine rock gardens. 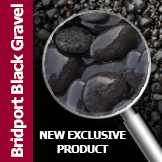 Whilst being durable the stone is softer than granite or limestone and will attract moss and lichen growth making it ideal for country themed rock gardens. Pack size: Full Crate - 70 pieces. Stone size: Approx. 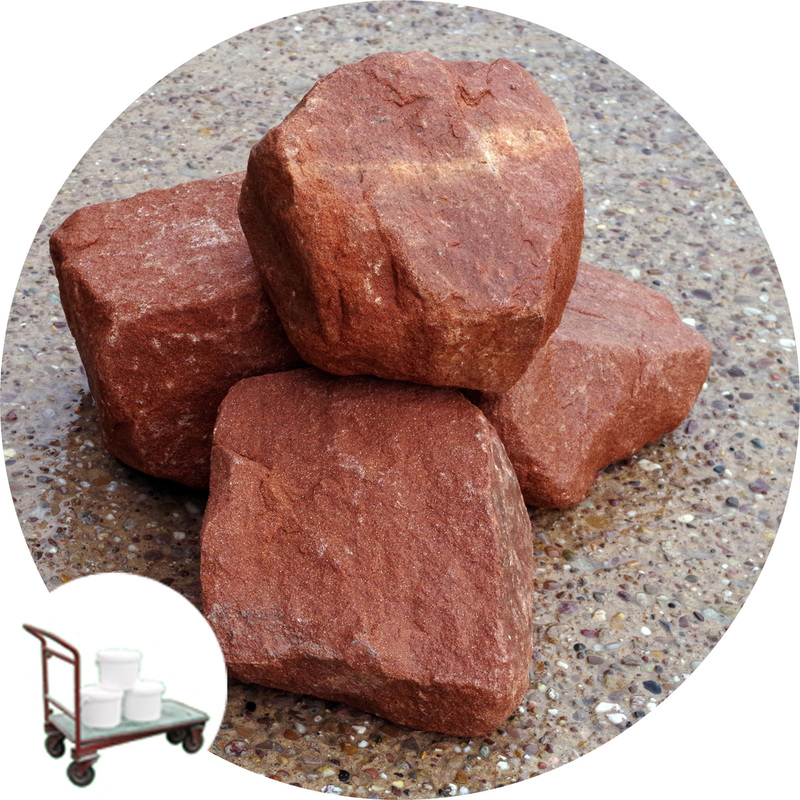 250mm (10 inch) Individual stones weigh approximately 10 to 16kg making them manageable with care to lift, shift and place. 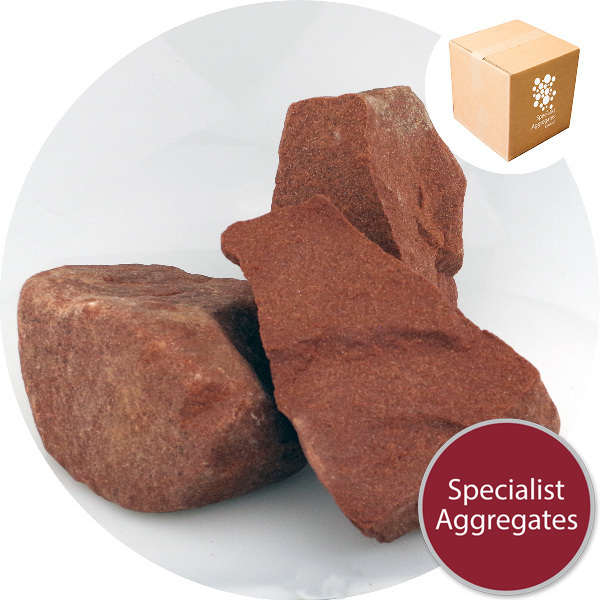 Terra-cotta red sandstone, suitable for rockeries, water features ,walling and creating raised beds. The stone is softer than granite and limestone rockery and in time will attract moss and small plant growth making it ideal for country themed gardens. The stone may be drilled with care using conventional masonry bits to provide additional planting holes and root anchoring. Sandstone Fact-File : Geologically, sandstone is exactly what it says it is, grains of sand that have been naturally cemented together to form a solid stone. Sandstone occurs widely in the geological past and generally represents periods of time when wide-spread desert conditions prevailed. Environment Note: This sandstone rockery is sourced from licensed and regulated quarry sources. Products can be loaded by mechanical means onto customer's vehicles. Personal collection is from: Unit 5 Rydal Estate Colton Road Rugeley, Staffs WS15 3HF. Personal collection times: Monday to Friday 10.00 am to 12.30pm – 2.00 pm to 4.30 pm. Price quoted for this item relates to personal collection only. Extra-over charge for collection by customer arranged courier £15.60 per pack (inc VAT). 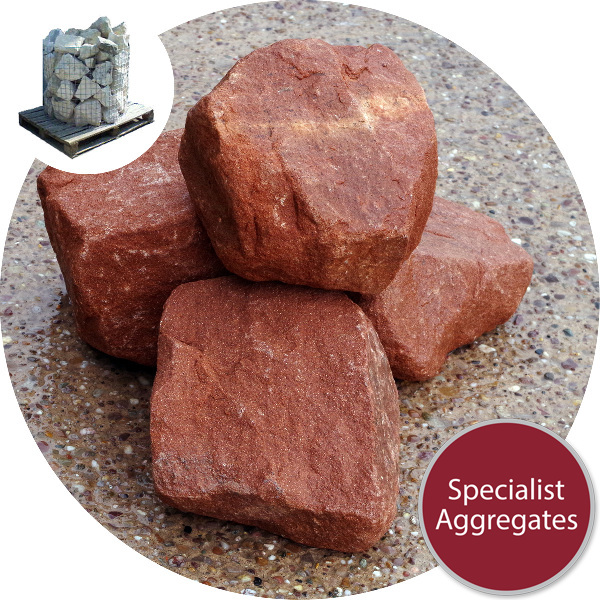 Design Specification: 250mm Red sandstone rockery from Specialist Aggregates.